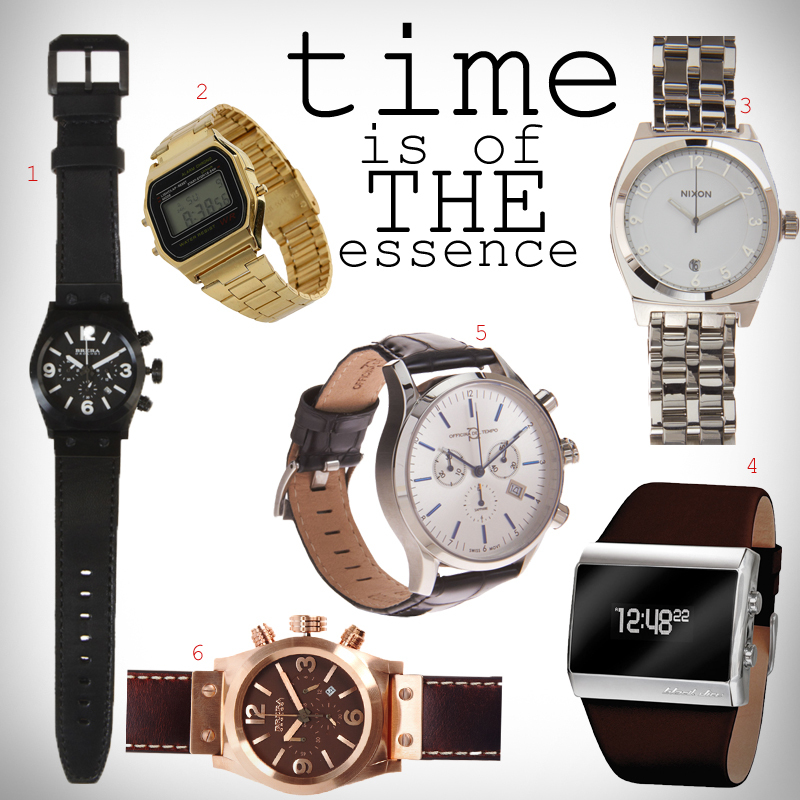 Time is of the essence | GALLA. Fear not white rabbit, with a smorgasbord of fine detailed pieces in our midst, one is sure to never miss a tea date again. No matter the size, shape, orientation or income, a watch will be a timeless piece in ANY man’s wardrobe. Maybe you’re Keanu Reeves circa 1999 in the matrix and call for a watch of noir proportions such as the Brera Eterno? Or you could possibly be a rapper with a perpetual craving for gold to match your “grill” or “2 chains”? the Metal link watch would suit you best dude. Perhaps an overly trendy male fashion blogger who’s last name parallels a social gathering of whats traditionally known to be a “gala” would definitely, and obnoxiously sport the Brera Rose Gold… hell yes I would. i adore the nixon clock! Love Officina del Tempo watch! Like 6, 3, 2 and 1 — in that order. Nice picks! I liked 1 2 and 4 the most (: The problem is, I always forget to put my watch on in the morning so my watches just stay in their boxes most of the time. lbjpgygoj,This website truly has alll of the information and facts I wanted about this subject and didn?t know who to ask. uscentkeiq,If you are going for best contents like I do, just go to see this web page daily because it offers quality contents, thanks! kgjhmzhmowq,Waw! Its really great and wonderful ever i found. Thank you for sharing this info. kgaebfmun,Thanks for sharing such an amazing blog. I am so happy found this informative blog. baecso,Very informative useful, infect very precise and to the point. I’m a student a Business Education and surfing things on Google and found your website and found it very informative. cuvzgqlyr,Thanks a lot for providing us with this recipe of Cranberry Brisket. I’ve been wanting to make this for a long time but I couldn’t find the right recipe. Thanks to your help here, I can now make this dish easily.